It has been a fortnight since Windows 7 reached our shores with PC sales increased by 3.5% in the past week. 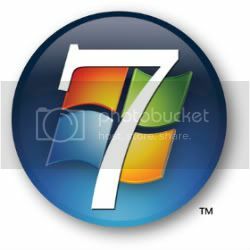 Following its immediate release, mass media reviewers gave the inevitable nod of approval that Windows 7 is going to be something people can grab out of fear while other sites gave their unbiased technical reviews. Ultimately, a recent report detailing the uselessness of the User Account Control (UAC) and the urgent need for an antivirus software was brought into the picture. As such the cycle of the broken promise of Windows to its customers is still inexorably present with the system that assures everyone our system is going to be better than the previous one. Microsoft has allowed further customization for Desktop Themes with sounds, colors and images which could be downloaded using a RSS feed. The gadget bar that Windows Vista users are accustomed to has made reappearance in Windows 7 with the taskbar eliminated and the small clock and calendar can be placed on the desktop. An obvious improvement is the User Interface (UI) with the enhanced taskbar (bottom bar where the start button and icons are) now users can rearrange the icons on the taskbar as well as pinning commonly used programs onto the taskbar as they please. Other noticeable differences are the additional Windows Aero functions like Shake, Snap and Peek. These functions shorten the time to maximize and resize windows by simply dragging windows up, down, left and right or by shaking a window while holding the mouse button, and also taking a sneak peek at the desktop while having multiple windows open. Other than the memory utilization and the obvious processor speed improvements, there are no noteworthy performance indications that Windows 7 have over Windows Vista. I tested Windows 7 on my 3 year old TravelMate 3273 WXMi using Windows 7 Ultimate. It boots up faster and the memory used is much lesser than the preinstalled Windows Vista due to the lesser use of system and cache memory. Even with 1 GB of RAM, I managed to run 3 high memory intensive applications and play a computer game such as World of Warcraft with high graphic enhancements turned on and a refresh rate of 25 FPS. On Windows Vista with the system’s ‘help’ of memory caching I had to turn all my graphics to the minimum and use buffers to help ease the pain of the system. For a computer that has aged 3 years and using the bare minimum system requirements, I believe that Windows 7 has done its job of being an improvement to Windows Vista. With the recent discovery of the uselessness of the UAC, it is vital that Windows 7 users purchase or acquire a freeware licensed anti-virus software for their computers. Microsoft has yet to perfect its UAC for 1 out 8 of viruses ran undetected by the control tool. It has to balance between the annoying balloons that show up almost each time an application is executed (Windows Vista) and virtually letting a mob of viruses run amok in the system. Given the case, most anti-viruses companies should serve their functions as tools to prevent unauthorized intrusions and programs. But, I believe it should serve as a supplement or an add-on to the basic anti-intrusion function which is UAC. As such, it falls to Microsoft to perfect its User Account Control system over time and lay the standards of computer protection to the third-party security software providers. At first glance, it may seem that Windows Vista seem to haunt its successor due to the familiar desktop features which were in both systems. Nonetheless, Windows 7 is an upgrade to Windows Vista, and it should not have the same problems Windows Vista had. However, with a new Operating System, a new set of problems will eventually emerge. And the cycle repeats itself when Windows 8 comes into the picture in time. For users wanting to upgrade to Windows 7 from Windows Vista or XP it will be wise to wait for the first service pack to come out. Even after months of alpha and beta tests, there might be some issues that might arise following the retail release of the product. Hence for stability reasons, it would be wise to wait for a service pack release in a more distance future after the opening retail sale of Windows 7. Microsoft should step up their branding as well as their marketing plans for their viral video (see below) was indeed controversial. Moreover, their strong competitor has released videos that aim to sway doubters to use their stable system. Even with a majority of the PC consumers using their products they should not rest on their laurels for there might be other competitors that might want a slice of that pie. Who knows in the future your computers might be using that system. The trouble is most Windows users have embraced Windows as their lifestyle. They are apathetic to Windows being the dominant operating system. Hence most people remain status quo or the aforementioned when deciding on an operating system. Plus there aren’t that many Operating Systems around that could compete with Windows and have appropriate drivers with support for the hardware parts and software programs. With this, the cycle of problems would always remain until it becomes clear that Microsoft should come up with a stable system even with the given hardware limitations for all Windows users to experience. It is Microsoft’s choice for its future operating systems to be revered as an omnipotent immortal or just merely be honored as a hero.